Sunday, June 25, 2017 from 4 to 5:30 p.m.
Focus on the Masters has highlighted where art begins – with an artist. June brings us an opportunity to visit with an integral part of the business of art. 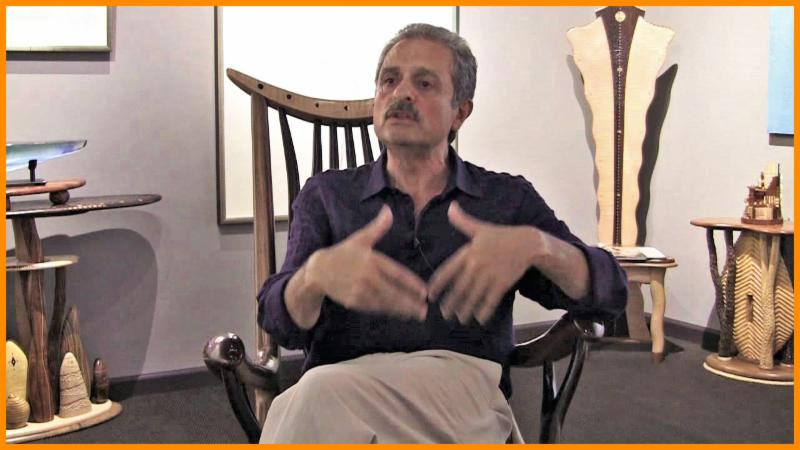 Gallerist Khaled Al-Awar, a 1970 immigrant from Lebanon, moved to Ojai in 1982 from Chicago with his wife, Cheryl. He established the Primavera Gallery which features international and local artists, both individually and in group shows. He focuses on emerging and established artists working in a variety of mediums including, paint, glass, wood, and ceramics. Says Al Awar: “There is an amazing transformation that happens to people when they walk in and see the art.” In addition to the gallery, Al Awar owns the Ojai Playhouse Theater, a longtime cultural landmark in Ojai, screening first run films and becoming home to the Ojai Film Society. The theater is currently closed for renovations, with an expected re-opening in 2018. Khaled’s dedication to the arts and devotion to the community has earned him a Lifetime Achievement Award in the Arts from the City of Ojai. Please join us as Donna Granata and Khaled Al Awar discuss the importance of galleries in furthering an artist’s career. Please join us. FREE to FOTM members, $10 for the general public; $5 for seniors and students. Peterson Graphics & Levity Live at The Collection. The Artist Spotlight is open to students attending as a class assignment free of charge. Faculty and students are requested to make a reservation. This entry was posted in Events, Gallery News. Bookmark the permalink. Comments are closed, but you can leave a trackback: Trackback URL.